I had so much fun walking down the halls of "What if?" last week that I thought I'd keep the streak going for the rest of the month (if you'll allow for some summertime indulgence). It's not that I necessarily wanted MMO history to turn out differently than it did, but it's always tantalizing to wonder what the field would look like with different games out there. Would they have proven more popular than our current crops? Would they have pushed the envelope of innovation? Of course, it's easy to project greatness onto never-released titles, bemoaning that "if only MMO X had launched, we would've had the perfect game!" What ifs are interesting but should never be taken as absolute fact. This week I wanted to look at a project that's related to an MMO near and dear to my heart. As most of you know, I'm somewhat of a Lord of the Rings Online nut here at Massively. Sure, the rest of the staff is upset that I smoke pipeweed inside and never wear shoes, but that's just how far I go to understand the game. But even my LotRO isn't immune to a massive what if. Known to some but not to all, Turbine wasn't the first MMO studio to take a crack at Tolkien's license -- no, for that we have to travel back to 1998 and revisit Sierra On-Line. It was this company that had a brief but memorable run designing Middle-earth Online, aka "What if LotRO had permadeath?" It's a fascinating glimpse into an entirely different approach to the IP, and even though it died a fairly early death, it's important to be remembered. Frodo lives! Older PC gamers will undoubtedly remember Sierra On-Line fondly -- I know I do. 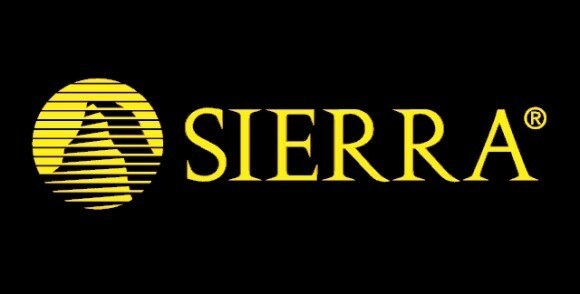 Best known for its commanding adventure games like King's Quest and Space Quest (really, anything with the word "quest" in it), Sierra grew to be a major player in the development and publishing scene over the '80s and '90s. In 1997, Sierra's Craig Alexander looked at the moderate success of The Realm Online and wondered how successful a similar game might be if it had a powerhouse IP behind it. The notion of licensing the works of Tolkien popped into his head, and he told the team to pursue it. Initially, the game was going to use The Realm Online's server code and be presented in a 2-D isometric format (which was eventually changed to top-down 3-D). Doing it right would cost over $5 million, which was a massive sum at the time for an unproven genre. Writer Daniel James (of Puzzle Pirates fame) shared the lofty goal of the project while discussing the brand-new website features: "In time, the site will feature extensively the game's art -- which is presently under wraps -- and material direct from the world and its players, all the while adhering to our central mission: to create a true rendering of Professor Tolkien's classic work." Alas, Sierra was not long for the world by the time it acquired the license to develop an MMO based on Lord of the Rings. The game, called Middle-earth Online (MEO), began in 1998 and was optimistically slated for a 2000 release. However, it was already facing huge problems following massive layoffs and a studio relocation the next year as Sierra On-Line was sold to Vivendi. By all accounts, the project also had some serious lack of management going on, adding to this atmosphere of instability. After the project relocated from California to Washington in 1999, we never heard much from the new team aside from legal issues surrounding the license. While the project limped forward, the original team's vision for the game was all but done. Instead of rampaging orcs, accountants and legal departments conquered the lands of the Free Peoples. Vivindi Universal took over the license in 2001, and even this was eventually transferred over to Turbine, which took the IP and did its own thing. "I actually began to think the license was cursed like the one ring, and that the game would never ship," Senior Designer Janus Anderson said. James summarized the troubled development period as such: "I do think that spectacularly bad decisions were made, and an absence of leadership was demonstrated by some people who should have led. In the end, though, the actual decision-making process was so convoluted that I wouldn't hold any individuals to blame." That's how the story of Middle-earth Online ends. But what if MEO had gone forward? What would it have looked like? Let's find out! 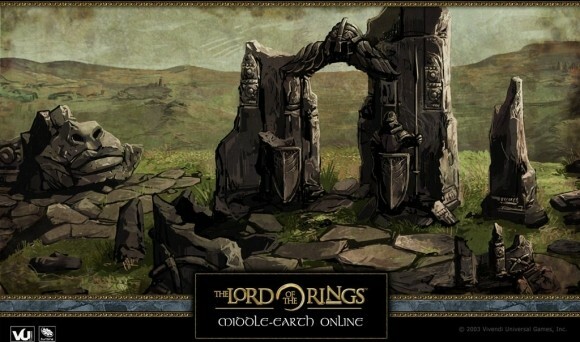 Unlike Lord of the Rings Online, whose approach to the books was was to present players with a "parallel journey" of sorts to the Fellowship, MEO was to take place after the events of the books and movie. Set a couple generations into the Fourth Age, this MMO would try to answer the question of "what happened next?" Middle-earth Online was designed as much more of a sandbox experience a la Ultima Online than the themepark vision we received from Turbine. Player-killing and a huge emphasis on crafting were layers on top of a game that would, ideally, let you live as an inhabitant of Middle-earth. "I believed in the sandbox school of MMP design," Daniel James wrote later. "Give the players the tools and a rich environment in which to exercise them. This part of the design did a complete 180, much to my delight." To cut down on the amount of content creation the limited team had to do, the devs designed MEO's systems to let the players shape the world -- such as build and destroy structures -- and random adventures would be generated for those looking to quest. The team bandied about a number of interesting concepts -- just like all dev teams do -- during the design process. Concepts such as having player characters automatically flee from deadly fights and be capturable by NPCs (necessitating a rescue from friends) were discussed. Characters would also have a "psychology" that could be modified by players through repeated or deliberate actions. And in probably one of my personal favorite of ideas, the team said that it would limit the number of Elven players to keep the numbers in line with the diminished population seen in the books (and presumably afterward). With EverQuest coming out during the development process of Middle-earth Online, some of the higher-ups thought that MEO could benefit from adapting EQ's features, such as an increased emphasis on magic and loads more Elves. The team resisted these changes, but the project was almost at an end anyway. Stephen Nichols still had strong feelings about the subject when he spoke with IGN several years later: "Can you believe the nerve? The overlords wanted to take this wonderful work of art by J.R.R. Tolkien and package it as a hack and slash game?! I was horrified by this turn of events. Many of us on the team were. That's not what we signed up for! How could I live with myself after promising that I'd keep true to Tolkien's works? In short, I couldn't. I resisted every attempt to change the game's vision into a world where Gandalf is a dime a dozen and hobbits are hurling fireballs." Not that everything that came out of design was golden. Some of the ideas actually survived into the game that Turbine eventually shipped, but some were what I like to call "crazy. " The biggest of those was permadeath. The high level design here was that any player would be able to work up the nerve to commit murder by way of lesser crimes. Eventually they would be able to permanently kill another player's character. Certain high level monsters would also have the ability to perma-kill a player character. To be fair, this was 1999. EverQuest hadn't launched when we relocated, and things like permadeath were considered debatable. In retrospect, though, that one just seems crazy. According to James, permadeath wouldn't have been that common, and only players who made conscious decisions to be branded "murderers" would be fair game for such an act. To scratch the player-killing itch, Middle-earth Online was going to have its own version of Monster Play. Yes, you could join Team Sauron and begin as a free-roaming Orc. The more you leveled up, the bigger and badder you became -- but you'd start to become tied to locations. Eventually you might even become a superbad villain like a Balrog, but you'd be confined to, say, Moria. For me, I'm perfectly content with the way history panned out for Middle-earth Online. Turbine's done an excellent job creating a detailed rendition of Tolkien's world while remaining remarkably true to the lore and source material (vocal detractors notwithstanding). I think that if Sierra's version of MEO had released, it would've most likely remained niche due to the focus on sandbox gameplay and the looming behemoth of EverQuest at the time. Still, some of these ideas were and still are quite intriguing. Especially the part about "few Elves."